Where to Stay in Istanbul: Neighborhoods & Hotels You’ll Love! It’s impossible for us to truly explain how much we love Istanbul. Between Stephanie and me, we have visited Istanbul eight times and truly gotten to know this incredible city on the Bosphorus. It feels almost as if a second home to us. Every time, coming back to Istanbul feels like another piece of the puzzle of this maddeningly beautiful city is clicking into place. It was one of the first cities that either Stephanie or I visited internationally in our adult years: Stephanie went for the first time in 2011 and I made my first visit in 2012. Since then, the siren call of Istanbul has been hard to ignore, and we’ve never regretted a single time we’ve answered its call. 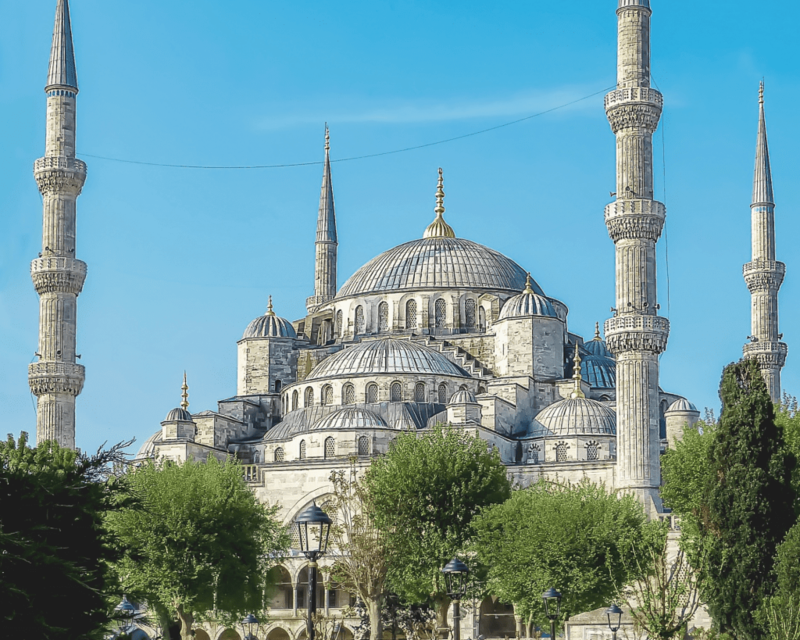 We love Istanbul at any time of year; I especially love Istanbul in winter, which just so happened to be my first visit to it (and when Istanbul hotel deals are at their best). No time to read a huge post and just want to cut to the chase? Here are our top picks for where to stay in Istanbul, for first timers or repeat visitors. 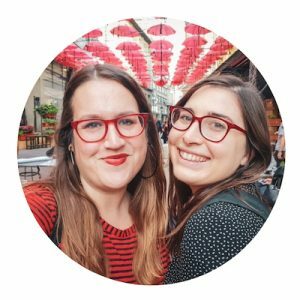 All three are in our favorite district, Beyoglu, which encompasses everything from buzzy Taksim to seaside Karakoy to hipster Cihangir to quaint Galata. Budget: For a great budget-friendly hotel, you can stay in either the single or double rooms at the Dreamers B&B. 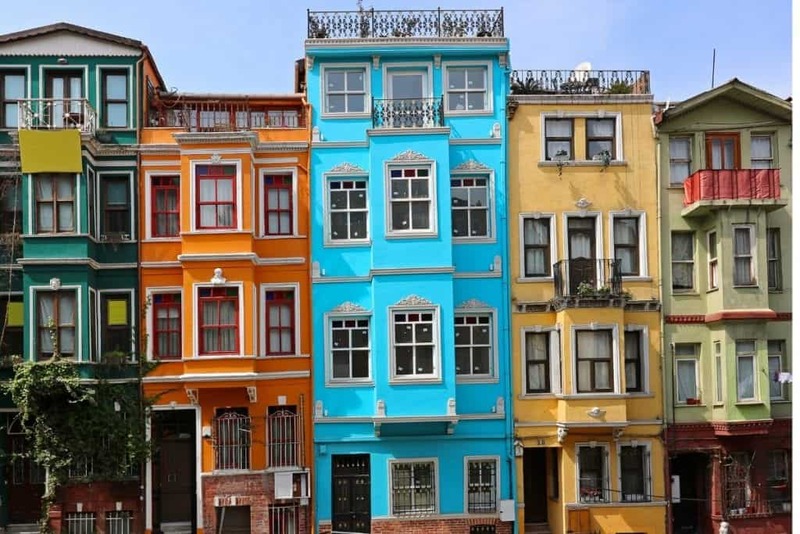 Colorful and cozy, the B&B boasts a fabulous location in Beyoglu, less than a kilometer from Taksim Square. You can explore all of Beyoglu from here, and then head to Sultanahmet when you’re ready to see the old city. Check pricing, reviews, and availability here. 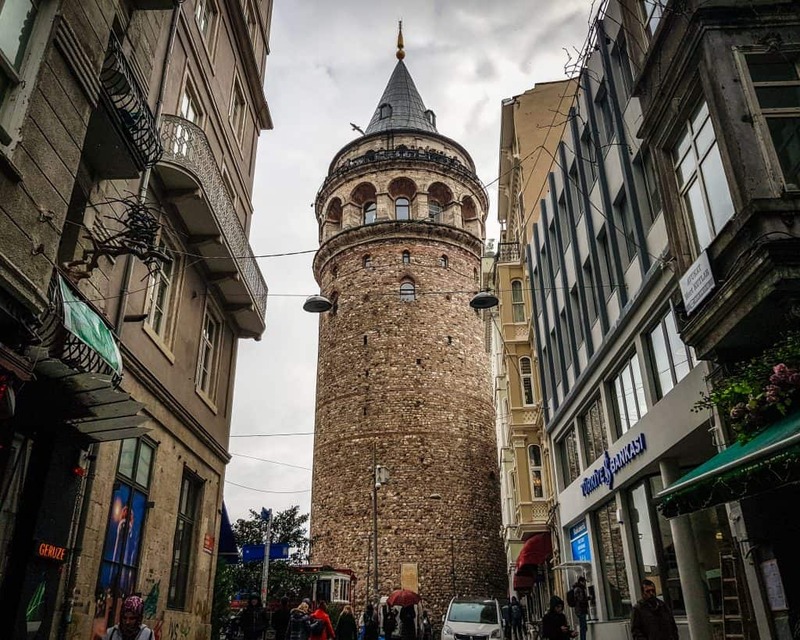 The area around Galata Tower is one of the best Istanbul neighborhoods for first-timers, a maze of streets with traditional restaurants, quirky stores selling unique Turkish souvenirs, and stalls selling fresh orange and pomegranate juice seemingly everywhere you look. 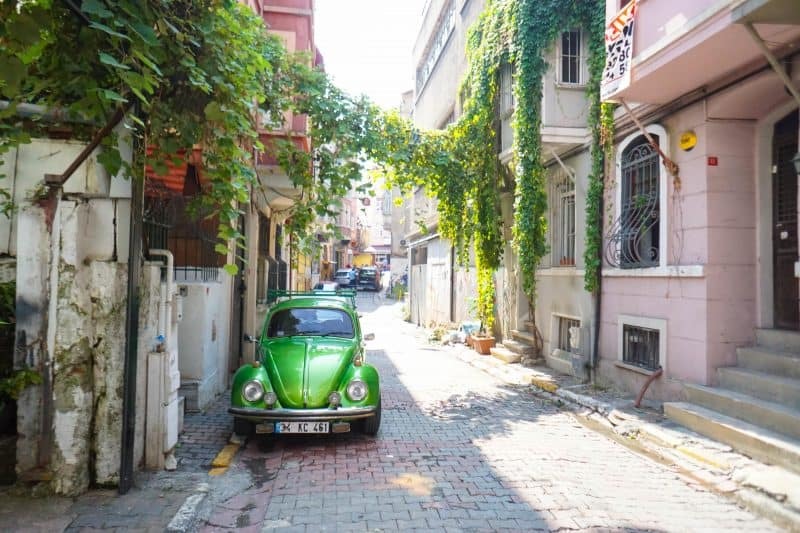 More of a micro-neighborhood than a neighborhood proper, Çukur Cuma is actually a street in Beyoglu that is famous for its antiques as well as being home to the Museum of Innocence, the real-life manifestation of Orhan Pamuk’s epic novel of the same name. However, the neighborhood encompasses the surrounding blocks as well, located close to the Galatasaray school. One of the best places to stay in Istanbul for first time visitors, Taksim Square is unparalleled in terms of ease of access to the rest of the city. It’s great if you’re visiting Istanbul for a short amount of time or on a layover, as many of the airport buses drop off and depart from here. 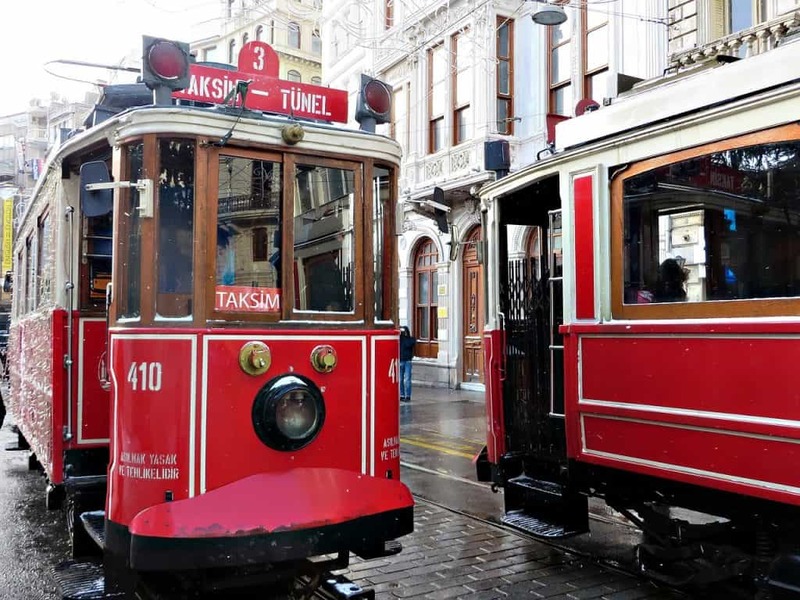 Aside from that, it offers easy access to Istiklal Caddesi, the main pedestrian street and the true heart of Istanbul, as well as the metro to get basically anywhere you want to go in Istanbul. Located on the bank of the Bosphorus, Karaköy is one of my most beloved Istanbul neighborhoods. 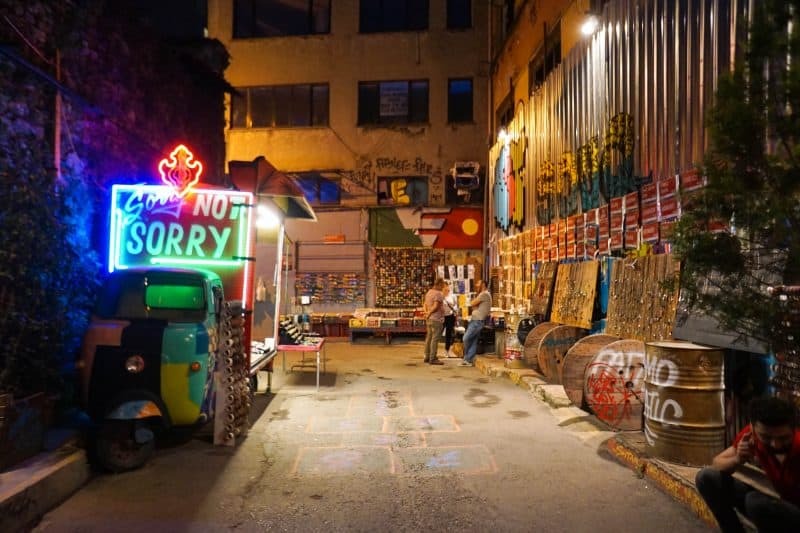 It’s full of hip restaurants and bars, funky street art, and a youthful vibe everywhere. 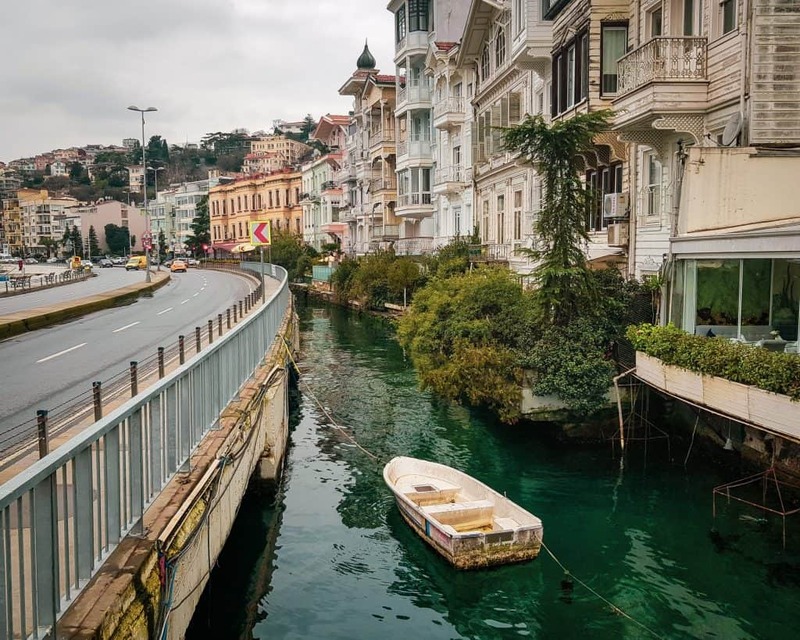 You can also stroll here all the way to the foot of the Galata Bridge, and it’s a prime location for exploring the Asian side of Istanbul via the Karaköy-Kadıköy ferry. 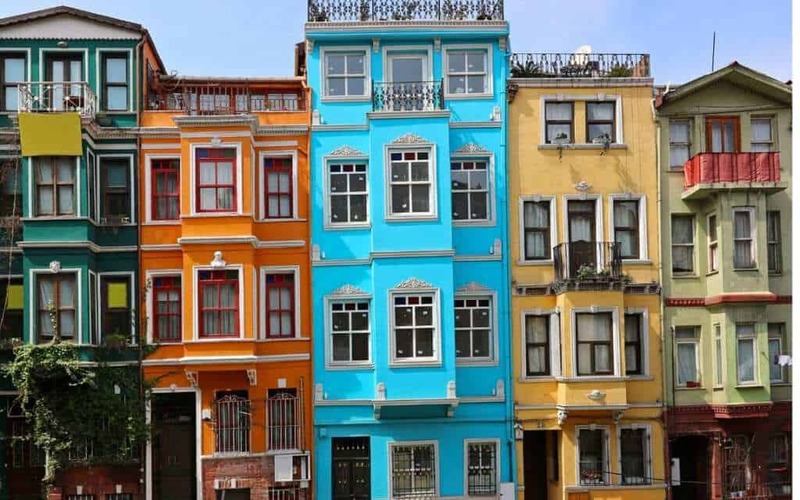 The most Instagrammable neighborhood in Istanbul, Balat is colorful and funky. Historically, it was the Greek Orthodox and Armenian neighborhood; nowadays, it’s gotten a bit of a hipster facelift à la Karaköy. You’ll find small coffee roasters, bespoke art shops and galleries, and vintage stores catering to a hip subset of Istanbulites. A delightfully beautiful neighborhood to visit by day, with its traditional wooden architecture, Arnavutköy also pops off at night when it becomes one of the hotspots of Istanbul nightlife. 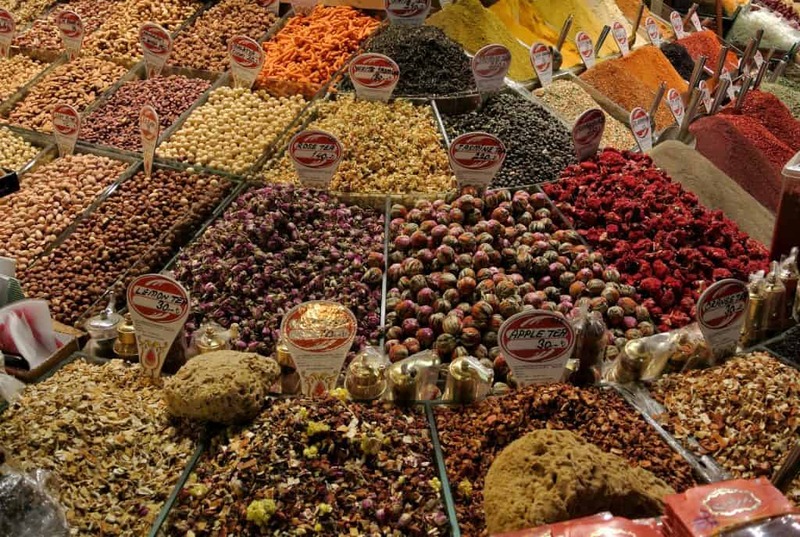 While the neighborhood is beloved by people who know Istanbul well, many tourists have yet to hear much about Arnavutköy, so there’s a good chance you won’t be around many other fellow travelers and can fall into local life a little more. 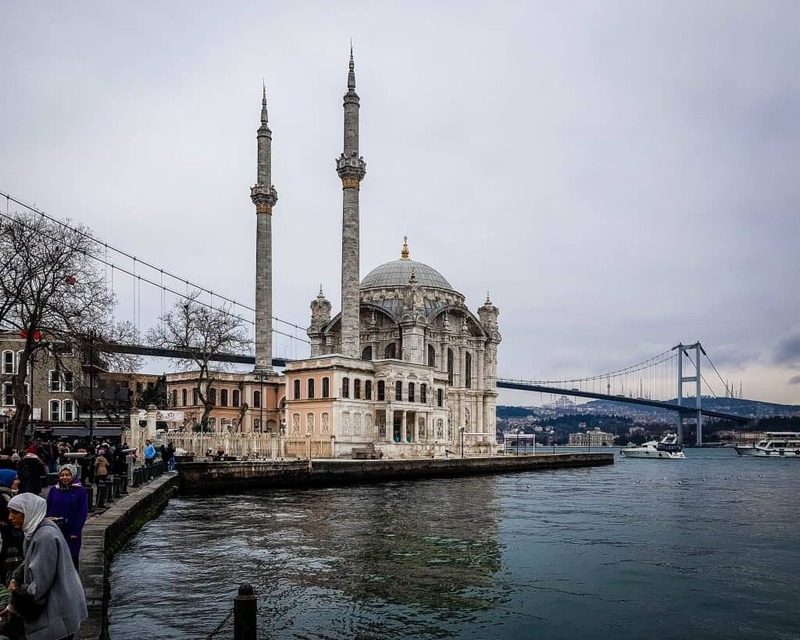 The heart of the luxury hotel district in Istanbul, waterfront Beşiktaş is beloved for its epic Bosphorus views and proximity to Dolmabahçe Palace and Ortaköy Mosque. There are tons of rooftop bars in this area offering sweeping views and cocktails, though prices may be a bit steep in this neck of the woods. Sultanahmet is my top recommendation for where to stay in Istanbul for firsttimers who want to be in the heart of the tourist action. While it dies down a bit at night and therefore isn’t ideal for travelers who want to take advantage of Istanbul’s buzzy nightlife, it is great for early birds and photography enthusiasts who want to get out and get photos of Istanbul’s most photogenic and busy spots before the crowds get there. Finally, make sure you always travel to Turkey or anywhere in Europe with a valid travel insurance policy. Istanbul is a very safe place to travel, but accidents or theft can easily ruin your trip if you don’t have the travel insurance coverage to recover the losses. Recently my aunt fell on a train in France and needed surgery, but luckily her travel insurance covered the costs in full. Thank goodness!